Effectively and consistently apply the horse-power of your Turbo RZR to the ground with the SLP Stage 1 performance kit. 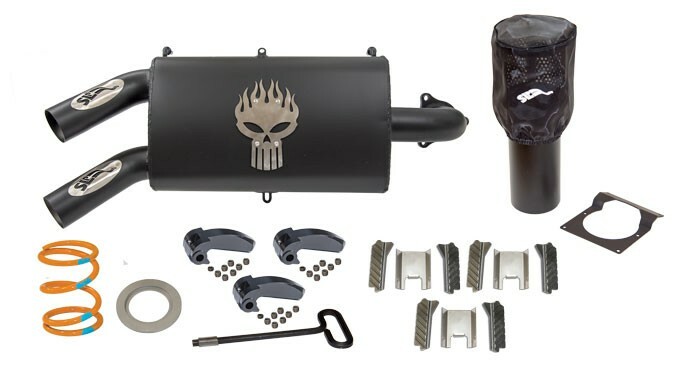 This kit combines the SLP Performance muffler and clutch kit. These parts provide increased consistency in performance with a much snappier throttle feel and sound. Whether on the sand, rocks, mountain or desert road, this kit is sure to please. For closed course competition use only.